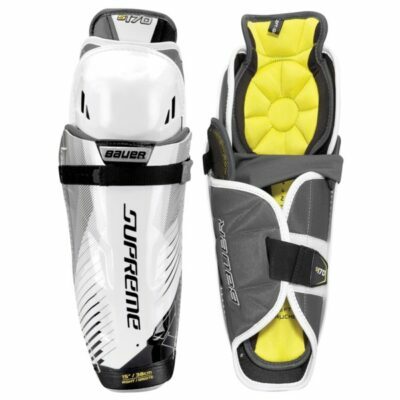 The Bauer Nexus 2N Shin Guards offer elite impact protection and maximum coverage without sacrificing weight or mobility. Bauer brought over IX Foam technology from their helmet line to provide strategically placed high-mass/low-velocity impact protection. 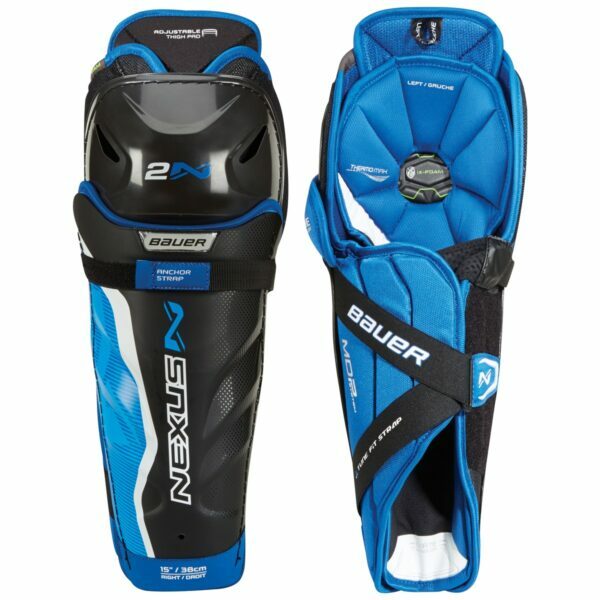 Around the knee, the Nexus 2N features proprietary Vent Armor Foam that maintains premier protection levels while promoting significant airflow through the pad. 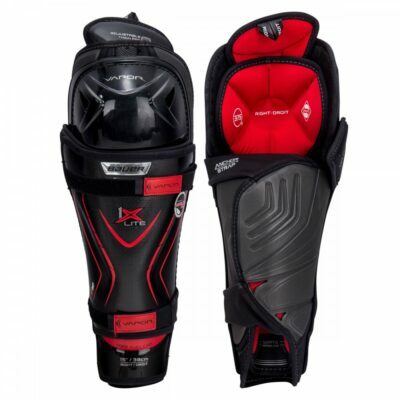 Bauer redesigned the calf guard with their new MDP System (multi-density foam layering system). The extra segmented construction provides more coverage and allows it to better wrap around the calf. 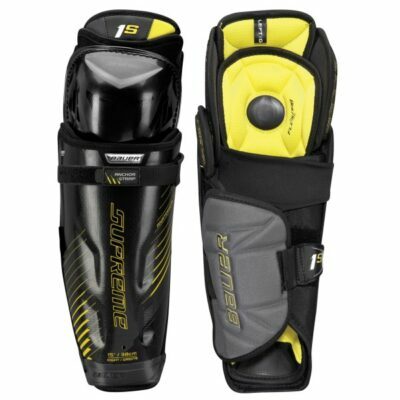 The Tune Fit strap helps to lock in the shin guard and allows for a wide range of adjustability. The new VentaPrene Anchor Strap features neoprene, nylon and foam materials to promote better airflow, maximum security and next-level comfort. Internally, the Nexus 2N features a traditional ThermoMax microfiber with a new Sanitized® treatment process. ThermoMax does a great job of wicking away moisture to keep the pad dry while Sanitized® technology keeps everything smelling fresh by preventing odor-causing bacteria from ever forming. 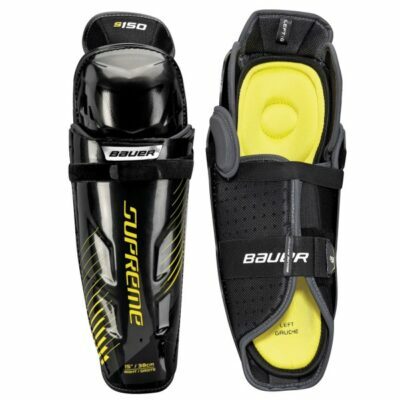 The bottom of the removable portion comes with an integrated Skate Abrasion Zone that helps to prevent wear-and-tear on both the shin guard and the liner of a skate. This website is owned and operated by Cockburn Ice Arena Pty Ltd. The material on this website is copyright © 2018 Cockburn Ice Arena Pty Ltd. All rights reserved.